Did Chiara wear the Mask of Stealth when she was a Matoran? 1. Just wanted to say amazing work on the new serials especially The Powers that Be. Their awesome! 2. Will you name the "purple and black entities"? 3. Was Garduss native to Nynrah since he was captured by its people? 4. Are all Nynrah Ghosts Fe-Matoran or could their be some Ta-, Ga- or Ko-Matoran in their? Hello again, Mr Farshtey, I've came up with yet another follow-up. Sorry if I am interrupting you or anything. 1) We've established that Makuta are much more powerfull than a Toa Nuva. However, I do believe I've read that you said Tuyet is also much more powerfull than a Toa Nuva. My question is, is Tuyet or a Makuta more powerfull on an elemental level (Barring the Kraata powers)? 2) I do believe you've also said that an Element Lord is essentially their element. Does that mean the Element Lord is completely impervious to their own element, and by definition, the most powerfull user of their said element? 3) Who would you say is more powerfull? Tahu with all his Kraata powers or Tuyet with her Nui Stone? I don't mean who would win in a fight, but rather on a basis of power levels. 1) Tuyet has more raw elemental energy at her command, but a Makuta has more willpower and mental discipline to be able to use their power wisely. 1) Teridax was supposed to take over the Matoran Universe while Mata Nui would inhabit a third Great Spirit Robot made by the great beings if all had gone well and planned. Am I correct? 2) If the above is true, the third Robot created would not contain a "new soul" as it would simply have been inhabited by Mata Nui. Am I correct? If all Nynrah Ghosts are Fe-Matoran, does that mean Phantom was a Fe-Matoran? 1) How did eveyone react when they saw alternate Teridax exit the Matoran Universe? 1a) Did he patch up his armor? 3) Why are the Great Beings so secretive and mysterious? 3a) Are they aware that most think they are? 4) Is Karzahni's and Tren Krom's killer a completely new character or one we have seen before? 5) Could a Toa of Water wear teal armor? 6) What mask does Orde wear? 1) I doubt most people were paying attention. 3) Because we decided they would be. 2) I think you've said before that the Element Lords were very powerful because they were actually made of their respective elements. Is this true? I thought they were just wearing armor that made them look like they were, and they only had the power to project their minds into their elements. 3) a. When Av-Matoran become Bohrok, does this "kill" them? b. How do the Av-Matoran feel about these transformations? Are they frightened by them? 4)Is there a difference between the terms "Elements" and "Elemental Powers?" For example, could something be an "element" of the MU but not be an "elemental power" because there are no Toa that control them? For example, Life could maybe be considered an Element, but since there are no real Toa of Life, it's not an Elemental Power? 1) No. Acid is not water. 3) In terms of their consciousness, yes. But for them, it is a natural part of the cycle of life. Not something they fear. 2b. Same for Glatorian with elemental powers. 3s. Can a Toa focus their power through a Glatorian's tool (assuming the owner is Ackar, Kiina, Gresh, Tarix or Vastus)? 3b. Same but in reverse (Glatorian with a toa tool). 4. Assuming #2 is yes, do you think Kongu could use one of Nuparu's tools due to his lack of one (because Nuparu has both his shield and the Aqua Blaster Blade)? Just asked Greg something about our favorite shapeshifting Rahi. I had a question I was wondering if you could answer. 1. Would Krahka be able to transform into a Glatorian or Agori form? 1) Yes and no. She could make herself look like them, if she saw one, but she would not be able to change herself to be mostly organic as they are. She would be a bio-mechanical version of one, so not terribly convincing to anyone who really knew what a Glatorian or Agori was like. 2. Do the Purple-and-Black entities exist elsewhere in the mainstream universe besides the Red Star? 2b. If so, is it possible that they live in remote regions of the Southern Islands? I sincerely thank you for all the work you put into BIONICLE. I don't think people can stress this enough. 1) Was the Makuta stone taken from Metru Nui to Spherus Magna? 2) Whatever happened to the Maoki Stone(s)? were they left on Mata Nui or taken to Metru Nui? and after that, were they taken to Spherus Magna? 3) Do lightstones still work now that the MU is destroyed? 3b) if so, did the matoran bring any to spherus magna? 4) Did the matoran bring any heatstones to spherus magna? 5) Will the matoran continue their sports/games on spherus magna? 5b) if so, will the matoran teach these games to other species? 6) i would imagine the all the military groups from Mata Nui/Metru Nui are now disbanded. is this correct? 7) (for bs01) did tahu gain the rashiki power of laser vision from the golden armor? 8) In the crossing, Strakk mentions "the place where good souls go". this implies belief in an afterlife - my question here is is this strakk's personal belief, a common belief throughout agori society, or common throughout all of SM? 9) is the nuva cube still in the bohrok nests, or has it been moved? 11) Axxon has a number of powers, as seen in official sources (creating stasis fields, Electricity powers, healing, and energy blasts) Are these powers unique to him, or a trait of his species? 12) Brutaka has show the ability to shoot beams of raw energy (on voya nui), and dissipate stasis fields (in the pit). are either of these species traits, or are they unique to brutaka? 8) I don't recall ever writing that. I doubt very much I ever used the word "souls" in a BIONICLE story. 10) What was it in the game? 1)Have Helryx and Tuyet completed their destinies? 1a)If so, what were they? 2)Is the fortress the gold Piraka fusion thing made the same one Krakua guards in the future? 3)Is Zakaz's importance in the MU any relation to future story? 4)Is Lesovikk still on Spherus Magna? 2) I doubt it. I had the impression Krakua's was on an island, the golden being's is on a coastline, not an island. 3) I recall you once saying that Zakaz had an important job in the MU and that you couldn't reveal it. I was wondering what it was and if you could reveal it now. 4)Are old enemies (Barraki, Dark Hunters) accepted into the new society? 4a)If not do they want to be? 5)Did the person who freed Tren Krom teleport him to where he died, or was he freed and left to wander? 6)Did the person who freed TK also kill him? 4) Doubt it. Would you want them living near you? The leech that sent Vakama a vision of Krakua (fan-named 'Kratana') allowed Krakua to communicate with Vakama, saying that he'd have to send off the Toa Inika etc etc. But what if Krakua had said something more....'useful'? Something that could have a distinct effect on the course of history. For example, if he'd said 'Go kill the other Toa'. I don't know why he'd say that, but the point is that Vakama acting on this would greatly affect history. So, would that then cancel out Krakua's original message? That future no longer exists, Vakama changed it. Or would you say that the Bionicle story has an 'alternate timeline' system - the future Krakua came from would still exist, but as an alternate timeline. Which would mean that the original Krakua vision would be able to be sent to Vakama, since, whilst the future did change, that future still 'exists' in an alternate timeline. Does that make sense? Also, would you say that, in the Bionicle universe, an event can be its own cause? So, Krakua sends Vakama a message telling him to go and save him from being killed in the present, Vakama does so, which causes Krakua to be able to send the original message, which causes Vakama to save him, and so on. Basically, I'm just asking about the mechanics of this future vision sending. Doctor Who allows an event to be its own cause, for example, but other sci-fi series might not. So I just wondered what you'd say Bionicle's rules are. I subscribe to the DC Comics' approach -- that if you do change the past or change the future in the ways you describe, what you are doing is simply creating an alternate timeline. So, in your first example, the result would be to create a timeline in which Krakua is not menaced by the Toa, but it would not negate the one in which he sent out the call for help to start with. 1. Could a Toa somehow learn to control more than one element? 2. What became of the Ignika after the battle of Bara Magna? 2a. Will it be featured (or at least mentioned) in one of the new serials? 2b. What became of the Golden Armor? 3. Excluding Melding Teridax, are there any other beings in the prime universe that originated in an alternate universe? 4. Can "The Shadowed One" use Kanohi? 4b. If so, has he? 2A) I don't plan to, it's been the focus for three years now. Hi again! I have one question about the original (failed) robot. 1. Was the original Great Spirit robot supposed to have a Red Star to accompany it? 1b. If not, what kind of system do you think the Great Brings would have created? 1) The prototype? No, because it was never intended to leave the planet. It wasn't built for the same purpose that Mata Nui was. 1. In a previous PM you said that Gresh would be the equevilant of a human in their mid-twenties, about how old would Ackar be? 2. Is the City of Silver pocket dimenshion located in a void or on a planet? 3. In your personal opinion if Bionicle did come back would it pick up where the previous storyline left off or would it be a reboot of the series? 2) How can something be located in a void? A void has nothing in it, that's why it's a void. 3) No idea. That is something that would be decided by people higher up the food chain than me. 1) You said in another message that the Kanohi of Elemental Energy is one-use only. So, if someone were to use it, it would fade dark and never be able to be used again, something like that? Or could someone else just pick it up and use it again themselves? 2) Is Sahmad's girlfriend still going to be named? 3) Are we still going to learn the identity of the green gas cloud from Reign of Shadows? 4) I'll understand if you can't answer this, but if the Purple and Black Entities in the Red Star are unrelated to the ones in the City of Silver, then how did the CoS Entities get to the Pocket Dimension in the first place? 5) This is a bit of a nitpick, but in Federation of Fear, Tren Krom is described as having yellow eyes. But in The Mutran Chronicles, and on his BS01 entry, he is said to have little more than holes laid into his skull for eyes. Which one is the accurate description? 6) I had a question about the Nuva Cube. Normally, Toa Seals can only be broken by the Toa who created it. But the Bohrok-Kal intended to use the Nuva Symbols to free the Bahrag. Now, this makes sense because the Symbols are what contain the Nuva's elemental powers. But could ANY Toa Nuva-created Toa seal be broken in this manner? 7) Just to clarify, Umbra wears a powerless Ruru, but is he capable of using Great Kanohi? 1) One-use means one-use, not one-use per person. It's a video game power-up -- if you use it, it's gone, it's not still there for someone else. 4) They come from there, same as the big creature did. 1) Ah. Should that be noted on BS01? 2) I suppose it is. 4) Big creature? Can someone refresh my memory? 6) Hm. I wonder how the Nuva Cube "knows" the difference between the Bahrag seal and other seals. Hello Greg. I hope your day is going well. I have one question for you. 1. Could a Kanohi Mask of Rahi Control allow its user to take control of the Spherus Magna wildlife? 1.5 And if so, could it take allow the user to control the Bara Magna Vorox? 1) After Toa Nuva get them Adaptive armor, each of them (except Gali) has a launcher and a melee weapon. The launcher is adaptive, as Onua notices in BL10 that his Midak Skyblaster had changed into a Nynrah Ghost Blaster. But are the melee weapons, such as Lewa's Air Saber, adaptive? b. Why doesn't Gali seem to have any other weapons than the adaptive launcher? 2) What happened to Tahu's adaptive launcher when he was transfromed back to Toa Mata? 3) Toa Nuva's weapons are not Midak Skyblasters or Nynrah Ghost blasters anymore, correct? 4) a. Does Vezon still retain his cape? b. Same question about the dagger Trinuma gave him when he was left to Destral? 5) I'm not sure if this was dealt in BL8, but did Piraka lost any of their powers after being mutated? 6) a. Let me clear this up: is the City of silver where Takanuva visited a pocket dimension, or a very odd AU? b. Where did all the creatures living in there come? 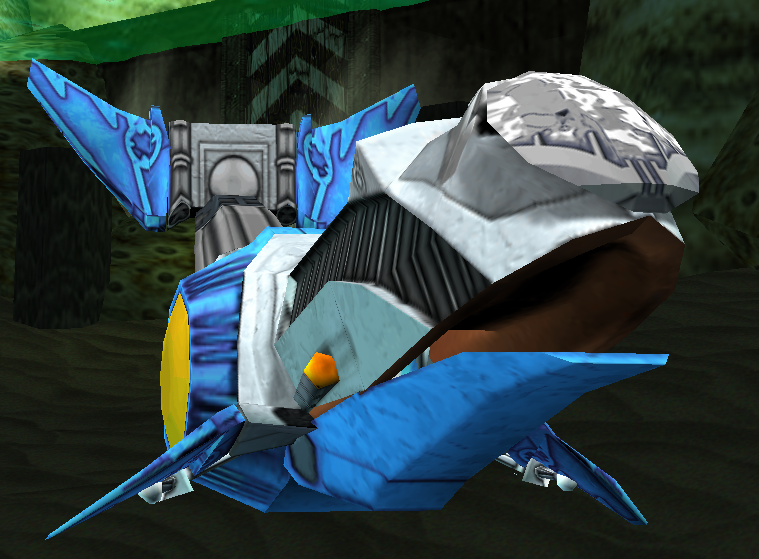 7) In the MoL movie, Takanuva removes Teridax's Kraahkan and they fall into the EP pool. In the novel, Takanuva switches their masks and they fall into the EP pool. Which version is more canon? 1. When did the Energized Protodermis Entity first start experimenting on the MU beings? 2. Did the island where Helryx and Keetongu met the Energized Protodermis Entity have the giant lake of EP in it 100,000 years ago? Hi Greg! I have a few questions that have been bugging me for the past few weeks, and I was hoping you could answer a few of them. 1) The map that the blade burrowers made in Mutran Chronicles, is it necessarily an island or other continent? 2) Was the reason that Tren Krom seemed interested when he probed Mutran's mind because of the map the blade burrowers created? 4) Can any other species in our universe evolve into pure energy like the Makuta did? 5) Was the Makutas' evolution done by Mata nui's doing or some other being, or was it an accident? I think that's it for now. Thanks for your time! 3) Well, if you assume the GBs came from someplace that had both male and female beings, why wouldn't they create Matoran with female attitudes/psyches? You create what you know. Really just some interesting trivia involved here, though I think it's all been answered by now. 1. Could a Toa of Psionics with a Nui Stone read a shielded mind? 2. Could a Toa or Matoran theoretically have their element changed if something was tweaked inside of them. I'm asking mostly for fanfiction purposes. 3. What exactly is it within elemental races that determined their element? Do they have some sort of organ that determines it or something like that? Hello Greg. Just one question for you. 1. Can the shield the Hau makes move with the user, or is it immovable? Just a little thing I was ponderin' about. 1. Would you consider the powers of rahi control and insect control types of mind control? 1a. When a creature is forced under the power's control, they are mentally dominated right? 2.Does the skakdi fusion have reality warping abilites or something, since it made the fortress. 3. How big is the red star? Stuff I wanted to know. Hey Greg. Had a few questions for you, hope you can answer them. 1. With the Purple and Black entities also being in the red star now, I'm a little confused as to the nature of pocket dimensions. It was previously established that the Great Beings created all pocket dimensions, and that they were specifically tied to the Matoran Universe. This is still true, correct? 1a. If this is indeed the case, the Great Beings would also had to have created the other creatures in the pocket dimension, right? 1b. If they didn't, where did they come from? 1c. The Purple and Black entities were created by the Great Beings, but you also recently mentioned that they originated from the City of Silver pocket dimension. Does this mean that the pocket dimension was created with the express purpose of housing these entities, and the GB's took some from there and put them in the Red Star, or something else? 1d. How closely related are the Red Star and City of Silver variants? Like how Toa vary from type to type, or more just that they're all individuals? 2. You mentioned recently that you believed all Nynrah Ghosts are Fe-Matoran, but a few years ago you said to me that they were a mix of Matoran types. Which is it? 3. I'm always a little bit confused by the Nui Stone; it gives the user a surplus of Toa Energy, but what does that enable the user to do? Previous answers lean towards a greater amount of elemental energy, is that it? 3b. If so, does that also allow her to do more with the Toa Power, like creating tons of Toa Stones, or healing people? Thanks in advance if you can answer any of these. 1b) How exactly the GBs created these entities not yet known. So what they may have done is gotten the ball rolling, but the actual creation took place over time in the two different places, which would then explain some of the behavioral differences between the two groups. The ones in the City of Silver seem to be warriors; the ones on the red star are not. 2) When it comes to this sort of thing, I usually check BS01 first to see if I have given an answer previously. Since there was no mention of them being a mix there, and the known Nynrah we have met were Fe-Matoran, I went with Fe-Matoran. Basically, I can't be expected to remember individual answers I gave here years ago, which is why I rely on reference. 3-3b) It has more to do with raw Toa power -- basically, the potential to do more and bigger things with your power, once you have mentally trained yourself to do so. Q: Were Brutaka's powers native to his species, or given by the Order? 1. When sea squids drain life energy, do they drain your physical energy as well? a. Cause you get all tired afterwards. 2. Is Shadow with TSO right now? 3. What's your favorite power? Hello, Mr. Farshtey. I have a quick question regarding the Lesovikk's Hiatus Contest. In my entry, I planned to have Lesovikk battle the injured Rock Lion mentioned in-story (and on his Biosector01 page) on the island of Zakaz. Zakaz's Biosector01 page does not list the Rock Lion as one of its native species, but I gathered from the Rock Lion's Biosector01 page that it's not known exactly what island they are native to. Would my entry still fit into canon if I confirmed that at least one Rock Lion lived on Zakaz 99,000 years ago -- one thousand years after Lesovikk's team was killed off? Hi Greg! Was the Dark Hunter, Savage, a Toa of Earth, as his armor as a Dark Hunter is black? 1. Is it possible to kill, imprison, or otherwise put down an Element Lord for an extended period of time? 1a. Could this be done by someone from the MU? 2. Is Marendar resistant to attacks from ALL the Toa? 2a. How about attacks from Element Lords? 2b. How about attacks from other beings with elemental powers, such as Makuta? 3. How did the Piraka kill Zyglak after being transformed? 4. Are the purple and black entities evil? If they are, why did the Great Beings put them in the Red Star? 1. Is it possible their were sand bars on Aqua Magna where the organic birds could rest? 2. Is Spherus Magna located in our galaxy? 3. Do Ba-Matoran have specific environments where they live, because I can't think of an environment where gravity associated beings would live? 2) I don't believe so, no. I don't know that our galaxy even exists in this storyline, it is not set in our universe. 1. Could a Skakdi have their light drained by a Shadow Leech and have access to Shadow powers? 1a. What, exactly, does "Combined" mean when it says that a Skakdi only has access to their elemental powers by combining them with another? 2. So the Great Beings created pocket dimensions? Do any of them serve an important purpose? 2a. Did their create alternate dimensions as well? 2b. Do pocket dimensions and regular ones form any sort of symbiosis, or form some sort of... something? Like a much larger Great Spirit made up of dimensions? 3. Did the Great Beings create everything using their own power or did they do it all using technology? 3a. If they did a bit of both, what did they do with which? 4. Would the human universe be an alternate dimension compared to theirs? 5. The Dark Hunter, Prototype, is said to have been created during the forming of a two-Toa Kaita. So does that mean that two Toa can form Kaitas, or that only two of the Toa were hit by the Spear of Fusion? 6. If you could be any species from Bionicle, which would it be? 6a. Which element (if they have one). 4) No. An alt. dimension comes when a decision in the main universe happens, and an alt. splits off in which the opposite decision was made. No decision would ever have been made in the BIONICLE universe that would have resulted in the development of humans. Our universe is completely separate from the one in the BIONICLE story, there is no connection that I am aware of. Hey, Mr. Farshtey. I have a question regarding the Great Beings and the Mata Nui robot. It'd be great if you could answer it . Anyway, my question is, if the Great Beings are capable of building a giant robot that can pull planets back together, then why didn't they construct a machine that could do the same thing as Mata Nui, except use it to reform Spherus Magna much earlier than Mata Nui eventually did? Seems to me that that would have been much smarter than having Mata Nui fly around the universe for 100,000 years before finally returning to do his job. Yes, I know MN was observing other worlds to prevent something like the Core War from happening again, but I would have thought the GBs would have created some kind of machine that would have reformed Spherus Magna during that time. Of course, there is probably an explanation, but at the moment there doesn't seem to be one unless the GBs suddenly became lazy after the Mata Nui robot . For geological reasons, the repair could not be done safely until 100,000 years had passed. 1. Do Ce-Matoran have prefered environments? 2. How about Plasma Matoran? 3. Do any Shadow Skakdi exist as the result of Shadow Leaches? These aren't exactly brand-new; they're a few weeks old. Greg's answers are in bold. Hi again, Greg! Hope you don't mind me asking a few questions. 1) If you recall, Lesovikk's Turaga went insane when he was gone fighting Zyglak, and sent all the Matoran of that island to Karzahni. Did you ever decide how that happened? My best guess is that a Dark Hunter drove the Turaga mad while Lesovikk and his team were away. 1) I don't believe anyone did it to him. I think he just cracked. 2) Did Lesovikk know from the start that the Matoran of his island were sent to Karzahni form his mad Turaga, or did his Turaga not tell him and he collected bits and pieces along the way? 2) He didn't find out until he went back looking for them. 3) Are Miserix, Tuyet, Lewa, Vezon, Helryx, Axonn, Brutaka, Artakha, Hafu, Kapura and the mad Great Being going to make an appearance in The Powers That Be or The Yesterday Quest? I really am interested in the turnout of the Great Being. 4) And, I know he is a useless character, but could you try and fit Perditus in somewhere? He never was featured in any story material, except in Mata Nui's Guide to Bara Magna, but that was just a bio. It's one question, but it's an interesting question. 1. Did that glowing creature from Sahmad's Tale always live on Spherus Magna? Hey there, Greg. I've just got one question for you today. Now, you once said that elemental masks run out of energy at some point, but I don't recall if you ever stated that other masks, such as a Hau, ever run out of energy. Do all masks eventually run out of energy? On that note, when a MU being runs low on energy, what happens exactly? Do they die, or just go unconscious until they are recharged? Hi again! I have one question about the Harakeke plant from MNOLG2. Since the island of Mata Nui's plant life was created by an Energized Protodermis leak and was not indigenous to Spherus Magna, is it possible that Harakeke plants could have grown inside of the MU, but not as profusely as in Ga-Wahi (and only in certain climates)? 1: Can a Toa Kaita be made from three Toa with the same element, or do the elements have to be different? 2: Can a Toa Kaita perform a Nova Blast? 2a: If so, would the Nova Blast be a combination of the elements of the Toa used to create the Kaita? 3: Can a Toa of Fire change the color of the fire he releases? 4: The "gold-skinned fusion" does not have any armor, correct? 5: Do you ever check the Official Greg Quotes topic for fake answers? You still haven't answered my last questions so you must be busy, but I was hoping you could at least answer this quick one. Why, in the recent serial chapters, are the Toa and Glatorian like Tahu, Gali, Ackar, and Kiina dealing with settling problems between the Matoran and Agori, instead of the older leader types like the Turaga and Raanu handling these seemingly political and social issues? Greg, I recently posted a topic about Bionicles in space, and I wanted to know if they could breathe in space, and if the same things that applied to us as human beings apply to them. Space is a void, so no, they would not be able to breathe in space.